Give your game a boost with the 900Global Boost Blue/Black. The S43 Hybrid coverstock provides the length needed on drier oil conditions. The symmetric Launch core allows a snap at the backend breakpoint. This ball is perfect as an introduction to reactive balls or for a seasoned bowler looking to fill a gap in their arsenal. By Ken Bland, Jr. from Cibolo, TX. Wow this ball has amazing hook. This ball really shouts down the lane & when it finds the dry boards, it's like a hockey stick shape heading to the pocket. It has a very skid/snap reaction. This ball is in its element on med to light oil lanes. Me on a THS: I normally throw about board 15 to 7. Drilling: Pin just above the index finger and the CG kicked out at about 5 o'clock. If you are looking to broaden your arsenal, this ball is for you. It will roll cleaner than any ball you have in your bag. It is smooth through the heads and then gives you a significant change of direction in the last 20 feet of the lane. It is not a snap, but more of an even roll; very controllable and forgiving. The first time I rolled this ball I was in awe of just how smooth it was. It sat in the oil and gripped the friction to get back up to the pocket. It doesn't over react and is extremely controllable. It reads the breakpoint very well and hits like a Mack Truck! Highly recommended for the down and in players who want to see the ball pick up energy with a heavy roll before transitioning up to the pocket. For the heavy handed bowlers, this ball will be a controllable step down when the lanes dry up a little bit. It will get down lane and still have the energy you want without over hooking/snapping. Don't be fooled by the price point. This ball is WAY undervalued. One roll and you know exactly what I am talking about. Guys that have been bowling with me for years noticed how well this ball rolled and smooth the reaction was as soon as I pulled it out of the box. This ball is easily comparable to balls more expensive found elsewhere. This ball is a significant addition for players that always buy the "most hooking" ball on the market. You are not losing hitting power and you will still be able to play those tough conditions where you need something other than the monster hook ball. Pick this ball up and you won't be disappointed! Pin Length: 3" - 3.5"
Clean through the heads and predictable ball motion. Back end is a very smooth and controlable ball motion. This ball combines the core from the Wisdom and the from the Hook! series. If you want a ball for light or medium condions then this is the perfect fit. I found success with this ball on broken down shots or lower volume conditions. Compared to a Hook!, this ball will be longer and not read the midlane so aggressively. For those of you looking for a medium, strong ball for low volume, short patterns, or drier lanes, the Boost Hybrid is for you. The 2000 grit, polished box surface will provide the length needed for these type of lane conditions. Surface is easily adjustable. My Boost is drilled 50x4 5/8 x 35. On the 38 ft house pattern I had a little too much skid during warm up. After touching the surface with a 1000 abralon pad to take the shine off, it was just right. A 695 series first time I used it. When I first drilled the Boost Hybrid I didn't know what to think. I thought it was going to be just another low-end piece. MAN WAS I WRONG with the pin stacked above my ring finger gives the ball a little more push down lane and comes off the end of the pattern HARD. The S43 Hybrid coverstock makes the Boost reads the lane a little earlier then the pearl Boost. Which will make players move 3 or 4 boards inside and be able to open up their angles. 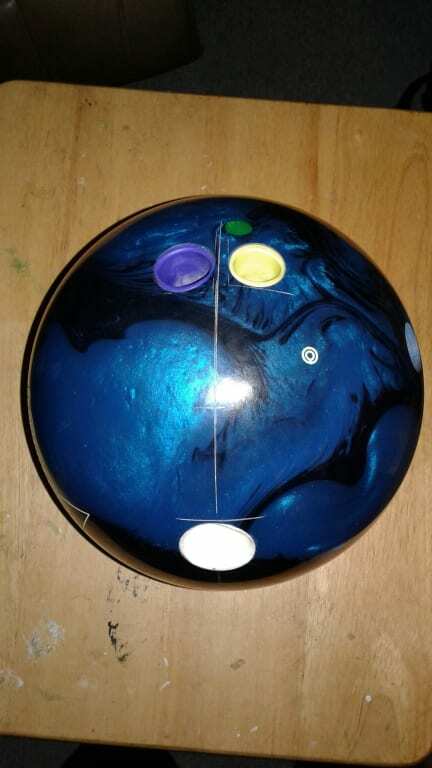 Description:	This is my go to ball when the lanes are getting over/under. It has a milder core/cover combo, but the hybrid shell gets the best of both worlds from solid and pearl. Reads the midlane, but still has that backend pop. 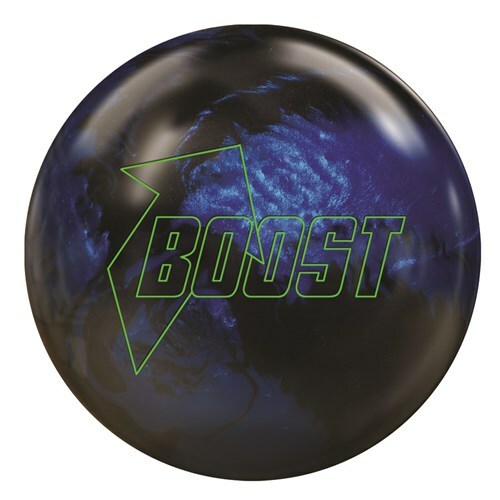 The boost series will be a great ball for any up and coming bowler for their first entry level reactive ball, or it is a great addition to a seasoned bowlers arsenal when they need something for the last game of league or deep into a tournament. It hits well, it carries great, and it clears the heads without worry. For a down & in bowler with medium ball speed, this ball fits my game perfectly on both heavy oil or dry lanes. By simply adjusting ball speed, this ball's versatility knows no limits. The S43 Hybrid coverstock allows this ball to glide smoothly down the lane, then the Launch Symmetric core snaps this ball at the breaking point straight into the pocket. Originally designed for dry lanes, however I find with slower ball speed adjustment, this lanes rocks on medium to heavy oil too! By mike811 from Huntington Beach Ca. The new 900 Global Boosts are a great performance ball! These balls have great eye appeal and they come in three colors Blue/Black Hybrid, Orange/Yellow Solid and Purple/Cream Pearl. The balls never over hook! Their best at home on medium to Dry Lanes. On a fresh house shot or a broken down pattern these balls always get thru the lanes smooth. 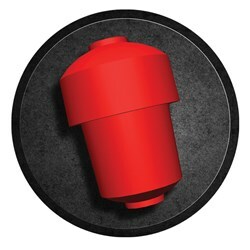 There are no surprises, these balls do exactly what you want them to do, a nice clean reaction without giving up power. This is a ball for everyone! 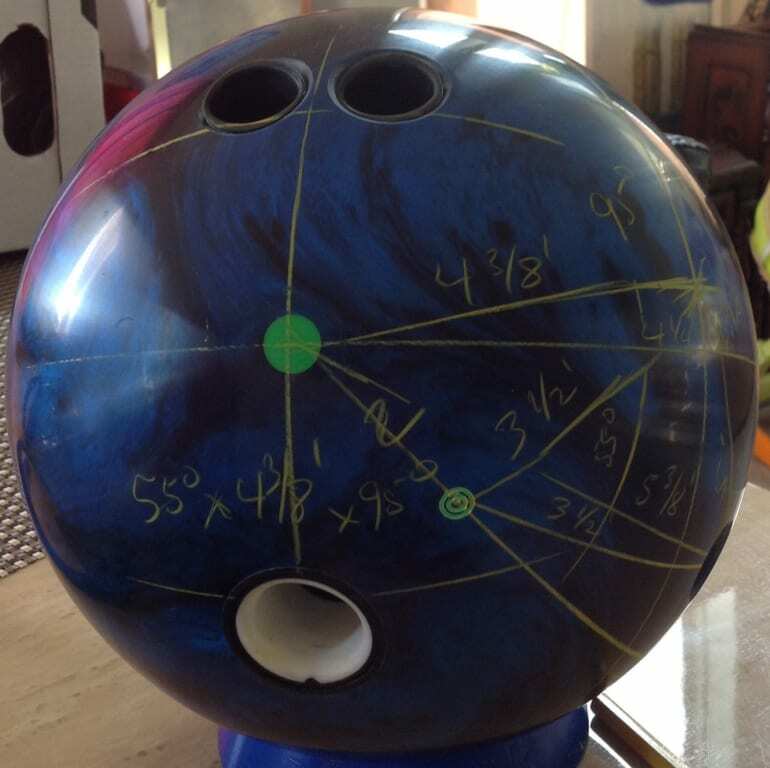 Does a 12 lb ball have the same center weight? Unfortunately, it will have a generic core. Does the S43 comstock on the Boost means it hooks? Yes, it will have a slight hook. Due to the time it takes to produce the 900Global Boost Blue/Black Hybrid ball it will ship in immediately. We cannot ship this ball outside the United States.